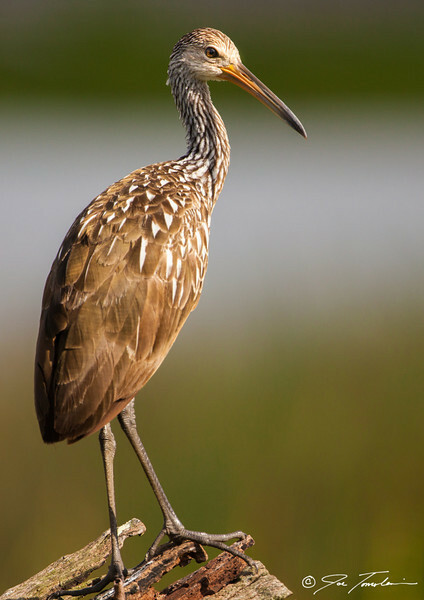 The limpkin is usually reclusive, preferring to remain concealed in the thick vegetation of wetlands. This individual, on the other hand, appeared to be completely content on his exposed perch above the wetland. In North America, the limpkin can only be found in Florida, where it spends much of its time hunting for its preferred prey, apple snails.